Episode ten is up and running! I hope you enjoy this mini-milestone, and I’m looking forward to being back with you in August. If you love to laugh (and who doesn’t?) and knit, The Knit Wits Podcast will be right up your alley. You can listen to them on their website as well as on iTunes. Do you have dreams of becoming a Southern Belle? This humorous list, courtesy of About.com, will provide you with a few simple steps to help you on your way. And, if you would like a classic example to model yourself after, spend a few hours with Scarlett O’Hara from Gone With The Wind. Heat about 1/4 inch of oil in the bottom of a frying pan over medium-high heat. Coat tomato slices in egg/milk mixture, then dredge in cornmeal. Fry slices in oil until golden brown on both sides. Drain slices on paper towels. Salt and pepper to taste. Try a little pepper jelly or chow chow with your fried green tomatoes. 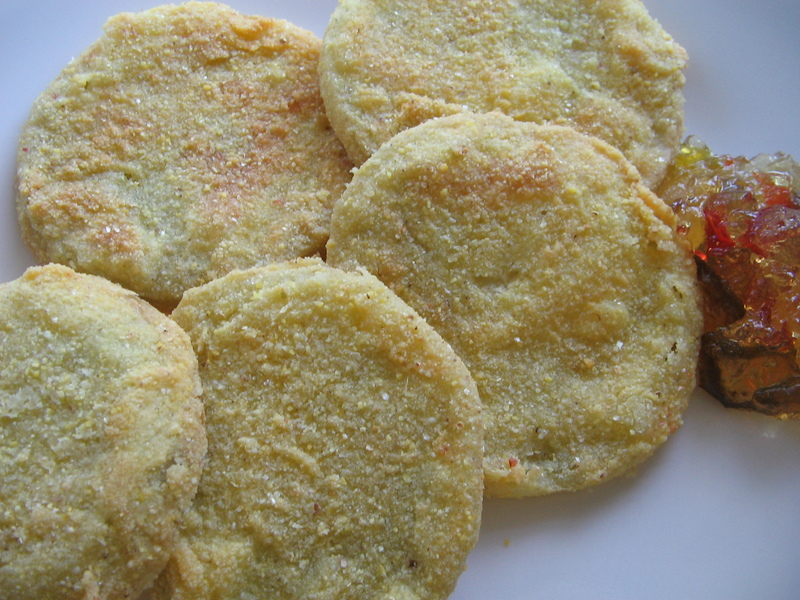 Oh, and they’re not just a delicious food, Fried Green Tomatoes is also the title of a most excellent movie. And many thanks to all of you who have left me great iTunes reviews! It is much appreciated. One Response to "CraftLife Episode Ten – Only The Beginning"